Most Light Environmental issues that AdvantaClean of New Bern and The Crystal Coast resolve stem from moisture. Especially in Eastern North Carolina, moisture is all around us. Humidity levels are high, meaning there is high amounts of water vapor in the atmosphere. When areas like the basement, attic, and crawl space in your home are not properly ventilated, moisture is locked in to these places. Mold, Rot, Structural Damage, Odor, and Health Risks start to arise when moisture is trapped and given the right climate. Laundry Rooms, Bathrooms, and Kitchens are prone to moisture build-up and damage due to appliances that carry water like toilets, sinks, showers, washers, and dish-washers. Leaky pipes, improperly installed appliances, loose fittings, and clogged drains can lead to moisture build-up. This is especially concerning when dealing with commercial properties because of the chance of contaminating customers’ food, clothing, and direct bodies with biological growth, the safety hazards moisture poses, and the poor air quality being circulated. Residentially, you and your love ones are being affected in the same ways. Removing and Controlling moisture becomes a number 1 priority in these instances. We are trusted in the Eastern NC area to provide moisture control and remediation services that are done right the first time. If you notice signs of moisture build up in your home or business, you can contact us 24/7, and our experts will diagnose and resolve your issues right away. 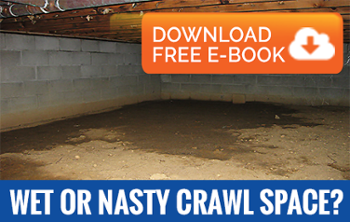 Check out our Crawl Space Encapsulation, page to learn more about AdvantaClean’s moisture control services for these areas.